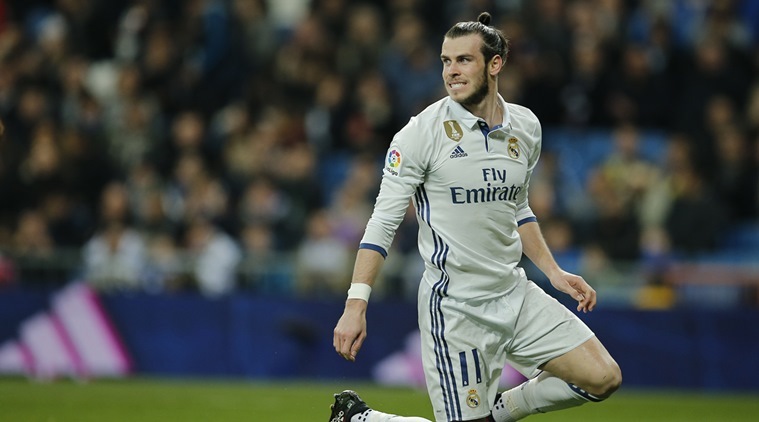 The Welshman Gareth Bale came into limelight when he joined Real Madrid from Tottenham in 2013 for a whopping amount of €86 M, which was then the most expensive transfer ever. Bale’s inclusion in the side made it even stronger. He has been a key member of the side ever since he has joined it. However, Bale’s Real Madrid career has been struck with injuries quite frequently. Bale is injured currently after he picked up a muscular injury in Real Madrid’s UEFA Champions League clash against Borussia Dortmund on September 26 and since then, he has been struggling to recover. He had started to train and was on his road to recovery just when he got injured yet again. This time, he has picked up an injury in another muscle. Real says that Bale has been diagnosed with a thigh injury after a fibrillar rupture to the adductor of his left leg and could be out for up to six weeks. Bale has probably been more on the sidelines than he has been on the field for Real. The Welshman has picked up 24 injuries since he has joined Real Madrid and has also missed a total of 79 games for Zinedine Zidane’s side. This chain of injuries has left the Real Madrid fans and Zinedine Zidane with various questions. Should Real Madrid Let Go of Bale? Well, the answer is yes. Real Madrid has been struggling after the departure of Morata, Rodriguez, Pepe and Danilo and Zidane should probably look for a replacement for them. Selling Bale would surely provide Zidane with a large amount to be spent. This money could be used to buy four or five young talents who could be the future stars of the Madrid based side. However, Bale’s absence would definitely have some negative effects on Zidane’s side as well. His absence will leave Real with a hole in the attack. Bale’s experience and his goal-scoring ability has helped Real Madrid a lot in pressure situations. But, considering the time for which Bale has been injured since he has joined Real, it seems that selling him would be a good option for Zidane. Bale has not been able to make an impact this season. Also, it is said that Bale is being overshadowed by Ronaldo. who is indeed one of the greatest to have ever played the game. Bale has not got as much appreciation as he deserves and moving to some other club would probably be better for his own personal career as well. Bale has been continuously linked with Manchester United, but a confirmation is still awaited. Bale’s worth and value has definitely increased after moving to Real and teams interested in buying him would surely be ready to spend huge amounts. If Bale stays, then he will have to justify his price tag and wages. The Welshman will have to step up, make an impact and perform up to the mark to stay in Real Madrid. Shahryaar Mirza is an Indian national born in 2004 in Sharjah, United Arab Emirates. Mirza is an ardent lover of cricket and soccer and wants to pursue a career in sports journalism.